In 2013 I hatched an idea for a software system to deeply analyze over-the-road trucking dispatching for optimum load selection and scheduling. In a two-week bleary-eyed marathon of coding I created a working prototype. Exhausted, and satisfied that it worked, I set it aside. 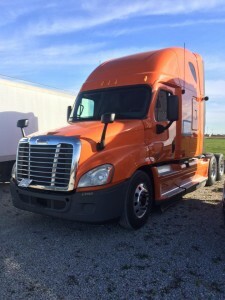 In 2014 I was looking for investment opportunities and I decided that trucking software was one of the best I had laying around. I spent a good portion of the 2014 year-end holiday season turning the prototype into a usable beta version. I intended to put a truck on the road to use as a research and development “guinea pig” for the system. Around that time I landed my book Investing With Purpose in a publishing contract. With much reluctance, I put trucking aside for another eight months. I poured myself into writing the best darn book I had in me. In August I turned it in. Then I went into motion. 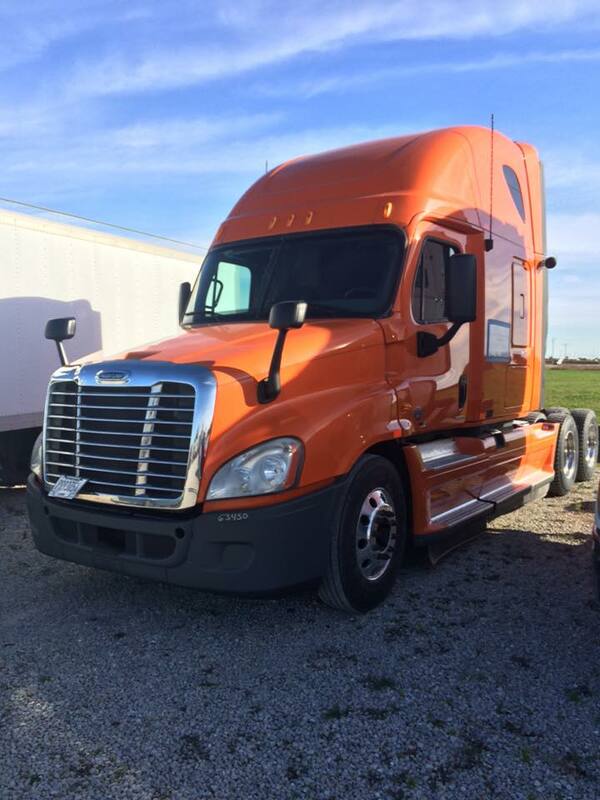 I hired an experienced trucking business manager, and we began filing all the paperwork required to operate as a common carrier. I worked on the software between other responsibilities, and the pieces started coming together. Unfortunately the manager I hired didn’t work out in the role, and I terminated her employment. We were mid-project, and I decided to carry it forward with the help of my assistant. And we did. We completed the paperwork, bought a truck, hired a driver, and got the thing rolling. I scrambled to adapt the software to the needs of the business on the fly. My system worked as I hoped it would. It was a thrill to see this two-year-old vision come into being. At the same time I began to realize my system just didn’t fit the way the people of the trucking industry actually work. Several people had warned me in advance about dishonesty, unreliability, and rule-breaking in the trucking industry. They were right. Information flow from brokers about loads, rates, and schedules was limited and inaccurate (or even falsified). I also discovered that harsh verbal pushing and shoving were standard practice whenever a problem or sticky situation arose with a booking or delivery. Not only is my software incompatible with that environment, I am incompatible with that environment. On several levels. When all of that started to come clear, I had to grapple with disappointment and a sense of failure. My big dreams for that software were changing to nothing but big problems. I had never “struck out” on a business endeavor before, which meant my perfect batting average was going up in smoke. I imagined peeling our shiny new logo off the truck. I didn’t like it. Continuing longer wasn’t going to make anything better. I made the call and pulled the plug. I called my driver and told him we were shutting down. We filed paperwork to end a business. I’d never done that before. The same day I made the call, I started to think about what I want to swing the bat at in 2016. I had (irrationally) feared I would never find interesting new possibilities to replace that passion project. I was surprised how quickly ending one thing made room for creative thoughts of the future. Since my batting average will never be a thousand again I guess I can let that go. Maybe there’s even a little relief in that. I feel surprisingly un-devastated. It’s really hard to swim against the current of culture. Behaviors, values, and worldviews engrained for decades (even generations) can overpower individuals, innovations, even economic forces. Corruption is a real thing. I knew that conceptually. Now I know it experientially. I like to think the best of people. Reality isn’t that simple. Engineering a solution that works does not guarantee a business that succeeds. I’m going to keep this lesson close at hand in my future angel investments. Yes, the product or service must function as envisioned. It also must be accepted and paid for by people. It’s probably more important to understand the worldview and patterns of behavior of those people than to understand the engineering of the product itself. Starting small really is a good idea. I had considered buying an entire trucking business to develop my software alongside. I’m glad I stuck to my belief in lean startups and minimum viable product. Sometimes cautionary tales are true, and there’s still value in finding out for yourself. There’s always someone who says “that won’t work”. In this case they were right. In most other cases in my career, they were wrong. Trial and error is a good way to tell which is which. The attempting process is valuable in itself. Success at the original objective is not the only reason to attempt something. I like success better than failure. At the same time, the process of attempting to manifest something brings much learning, and awareness of new opportunities. I’ll remember lessons learned for the rest of my life, and I could list at least a dozen business ideas that this trucking venture sparked for me. Trust the abundance of the unseen future. There will be new to replace what you let go of. New ideas, new relationships, new projects, new inspirations. Accepting (even causing) the end of one thing is a good way to make space to discover what’s next. Relationships work best when you respond to what the other asks for and ask for what you need. It might be easier for you to say “let me help you” than to say “I need this from you”. Perhaps one feels generous and strong, and the other selfish and vulnerable. Great relators do both. Your co-workers, your friends, and your family members need to know you’re human like they are. They need to know how to please you. They need you to participate in a two-way street of give and take with them. And you need the connection and the energy that come from asking for what you need and receiving it. Clear asking makes things better.